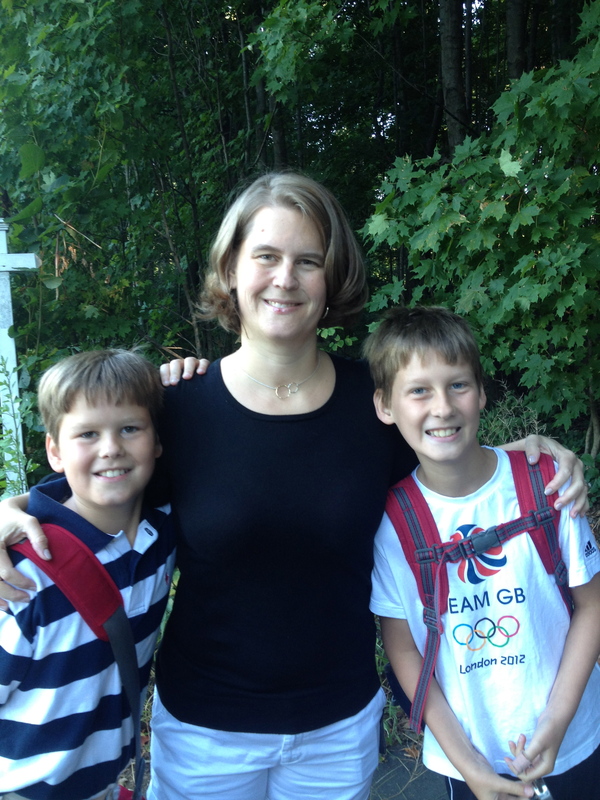 Today’s blog is written by Heidi Qua, mother of Jacob and Eric. Her son Jacob suffered a traumatic brain injury, in 2004 when he fell from a third-story window. To read her entire story, click here. New normal is a phrase I used frequently when my then almost three-year-old son was discharged from the rehabilitation hospital, Franciscan Hospital for Children. In September of 2004 Jacob fell from a third floor screened window to the concrete courtyard below. He spent 19 days in NICU, 17 of which he was on a ventilator. Then we were moved to rehab where he, we, stayed for three more months. When we were discharged, four days before Christmas, people assumed that we would be going back to our “old life.” They didn’t seem to understand that we couldn’t go back to our old life. My husband and I were trying to figure out our new life, our new normal. Rather than working full time, I was now shuttling my youngest child back and forth to therapies, and welcoming other therapists into our home. I had to explain to my oldest son, Eric, who all these people were, and why his brother needed all this additional attention. We were trying to keep things normal for Eric, but even his life was forever impacted too. As Jacob grew older, my new normal included monthly visits with different doctors – neurologist, physiatrist, or primary care doctor. The therapies continued, several times a week. This is not what I call “normal.” As a young woman, when I thought about becoming a mother, I never thought “what pattern should we choose for my son’s AFOs (ankle-foot orthosis)? Where can I buy shoes big enough to fit his AFOs?” In fact, before Jacob’s accident, the world of rehab, therapies and AFOs was a world I had never given a second thought. As much as I lamented my new normal, I realized I only had one option, and that was to accept it. I actually started to appreciate our new life. Nothing was going to make Jacob “normal” again, and I was beginning to be OK with that. I fell in love with his funny little walk, or the way he throws a ball. Even now, at age 11, all I have to do is hear his walk and I know it is him. I realized quite quickly, back when he was in rehab, that Jacob is a hard worker. He never once complained about all the therapy he went through. To this day he is the hardest working guy I know. This past weekend he hiked over seven miles with a backpack on, carrying his camping gear. He fell down, 10 times to be exact, but got back up each time and kept going. As we approach the nine-year anniversary of Jacob’s accident, I can honestly say I am content with my family’s new normal. I would be lying if I said I wish the accident never happened – no parent wants their child to suffer any injury, let alone a traumatic brain injury. That said, we have found victories in the small things, in the quietest of places, and we have learned to celebrate each moment with all three of our children, as we take this journey together. This entry was posted in Caregiver & Family Member Support, Prevention, Survivor Support and tagged brain injuries, brain injury, brain injury TBI, caregiver support, pediatric brain injury, support, TBI, tbi resources, therapy, traumatic brain injury, window fall on June 14, 2013 by Brain Injury Association of Massachusetts.